Autumn is such a wonderful time of year. There are so many great ways to explore the changing season and this Autumn lesson plan invites children to examine and explore the treasures that they can find on their travels. They all have different names, sounds and rhythms from fluttering leaves to falling conkers. This theme is suitable for children from 2 and a half – 7 years. The younger ones will enjoy all the lively movement and older ones will have fun with the rhythm and treasure game. 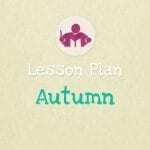 The autumn theme is just one of a whole series of lesson plans, to check out the others visit the weekly lesson plan page. It’s a thirty minute lively lesson that explores the different sounds, actions and rhythms inspired by the beautiful autumn season. Practicing the so –mi interval, playing chime bars and singing solo responses. Practicing the steady beat and tapping rhythms. Imaginative movement and rhythmic actions. Building vocabulary, confidence and social skills. 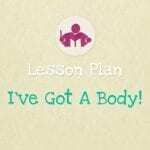 This music lesson plan is 10 pages long, including 4 printables. These plans are not intended to read as a script, as everyone will have their own teaching style. More, I hope that they will provide you with in-depth guidance for a number of related activities that I have found in my years of teaching to be particularly effective and engaging combinations. The printable rhythm game in this lesson plan pack includes both a European version with quavers, minims and crotchets, and an American version with eighth notes, quarter notes and half notes. If you’re looking for more music themes, you can out the full list here, and be sure to follow us on our Facebook page for new announcements. During term time I add a new one every week. You can also shop our full collection of digital musical resources here. I am teaching preschool children with special needs and want to incorporate more music and rhythm in my classroom. Most of my students are non-verbal or have limited language skills and very short attention spans. Will your plans be useful to them as well? I have limited materials, but may be able to borrow from our music teacher to follow the plans. 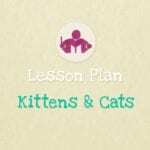 My lesson plans have been written to be adaptable for ages from 18mths up to 7 years. Obviously the younger children require more assistance and the older ones like to develop the ideas a little further. My classes work well for short attention spans as they often suggest colourful props and lively movement or musical backing, but they do of course contain songs with lyrics which often have more than one verse. It would be easy enough though, to tailor the class to suit the needs of your class – occasionally you might want to skip an activity but equally you will find other ideas go down so well they won’t want to stop! 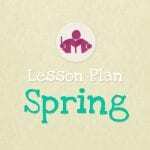 Try the Clocks And Mice or Spiders lesson plan first to see how you go – there’s a 20% discount code for one week – watch out for the drop down box on the site! Good luck!